We're a Professional Web Design Firm help businesses with results-driven solutions. Best Web Design & Development Consulting Company In Houston, Texas. At RCorpDesign, not only do we create a professional website for you, but with our optimization techniques, we help you gain better positions in search engine result pages so your site will be easier to find. Our company provides Web Design, Website Development, Logo Design, Graphic Design, E-Commerce, SEO, SEM, and IT Solutions for Houston, Sugar Land, Pearland, Katy, Conroe and surrounding areas. We help our clients plan, implement, and evolve their websites and other digital products. Customized responsive web design to provide optimal viewing and interactional experience. Our in-house team develops CMS platform that performs elegantly across every browser. Creating successful online marketing with strategies that turn ideas into success for our clients. We create a professional logo design that instantly conveys your company’s ideal image. Our in-house creative team delivers a quality graphic design that strengthens your brand. Website Design today is not only about just a website, it´s also about business identity. We want to create a website that represents your company professionally, and fully optimize your web page to increase traffic and increase your business at a reasonable price. Houston website design services address this convergence of business and to help you drive innovation and advance your business. RCorpDesign, based in Houston, Texas, has a mission to increase utilization of high technology and multimedia in advertising, and to provide the highest level of quality service to our clients. Need a quote for a re-design or new project? Let us help! Also known as SEO, it is a necessity when it comes to marketing your business on the web. Here at RCorpDesign, we use the best Search Engine Optimization for your website to ensure that your website gets found first. 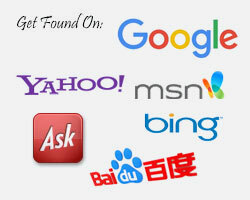 Get found on all major search engines such as Google, Yahoo, and Bing. In order to have a successful business, you need to be found first, and with our skills through SEO, we´ll make sure of that. Doing your keyword research and having a clear keyword strategy will dictate a number of factors prior to website development. The URL structure, content optimisation and other on-page SEO activities will be drawn from the keyword strategy you outline. From personal / small business, large corporations, to e-commerces / online stores, we design it all. RCorpDesign - Houston Professional Web Design & Development Consulting Company will help you to design and develop stylish customize logo and website that suits your requirements at an affordable price. Our professional web designers will work with you to design and develop a website that not only suits your eyes, but also suits your company beneficials. We provide web designs that are affordable and cost-effective. Your Company´s Business is Important to Us. Let our professional web designers and developers create custom, responsive web designs that you and your clients will be satisfied with. We even include Responsive Designs & Search Engine Optimization for all of our website designs so you and your company can be discoverable and also stand out on the world wide web. Your business is our business, and with that in mind, we want to make sure your outcome becomes an income for you and your company. Do I Need Responsive Web Page Design for My Website? Tablets & Smartphones have changed the approach toward design and user experience. Every day, the number of browsers, platforms, and devices that need to work with your site grows. Nowadays web page is designed based on screen size, not the device. 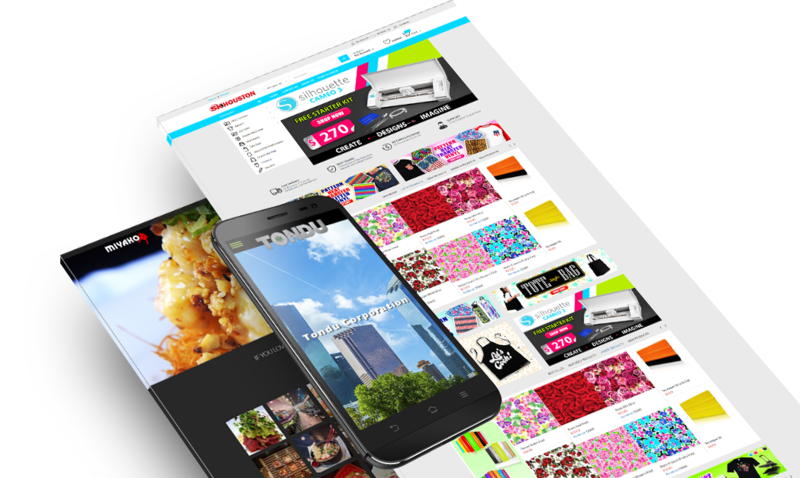 Let RCorpDesign develop and design a customize responsive web design that will generate you new traffic and clientele. We will ensure to make you a web design that you will feel confident in and is exactly what you need to represent you and your business.